French manufacturers of packaging machines and their suppliers joined their forces within the Virtual Packaging Line project, initiated by GEPPIA, with a common goal : increase their competitiveness and offer better services by using virtual reality and augmented reality in their future developments. At ALL4PACK 2016, they will showcase for the first time a complete packaging line (from primary packaging to the end of line) designed in virtual reality as well as an application displaying their equipments in augmented reality. They now further investigate all the possibilities offered by these technologies, together with their technical partners MiddleVR and Artefacto, two French specialists internationally recognized for their expertise. Be faster in designing tailor-made machines and complete packaging lines perfectly fitted to customers needs ! Virtual reality has been used for years, in the automotive industry for example, for product development. It allows, through quick iterations on a digital model, to considerably reduce the development costs and time to market of new products. Long restricted to major players, since it required to invest several million Euros in «CAVES», this technology starts spreading with the arrival of immersive helmets and the significant decrease of their cost ! 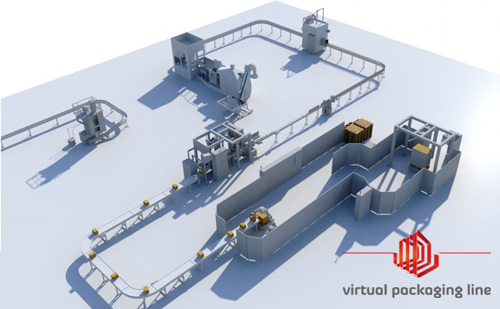 By working on the VPL project together with MiddleVR, French OEMs grasped the asset that this technology represents for the co-creation (together with customers) of tailored-made machines ; the joint development of complete packaging lines from different places and at lower costs ; and for shorter implementations (through the training of operators far ahead of machine installation). They now work at developing new CAD datas that will provide the best possible experience to users. The lastest improvements brought to augmented reality will soon give machine manufacturers the opportunity to offer an improved experience for their virtual services while leaving users hands free during maintenance and troubleshooting operations. The collaboration between GEPPIA s members and Artefacto aims at convincing operators to use these new technologies by offering them truly efficient and convenient tools. The benefit for manufacturers is to be able to give their customers unlimited access to their technical experience, at any time and from any place, with a minimum of technicians. The challenge is human as well as technical : machine manufacturers will have to fill these new tools with a lot of know-how to make sure they can be as efficient as a technician on site, but also imagine how to connect their augmented reality applications to the predictive maintenance systems of connected machines. 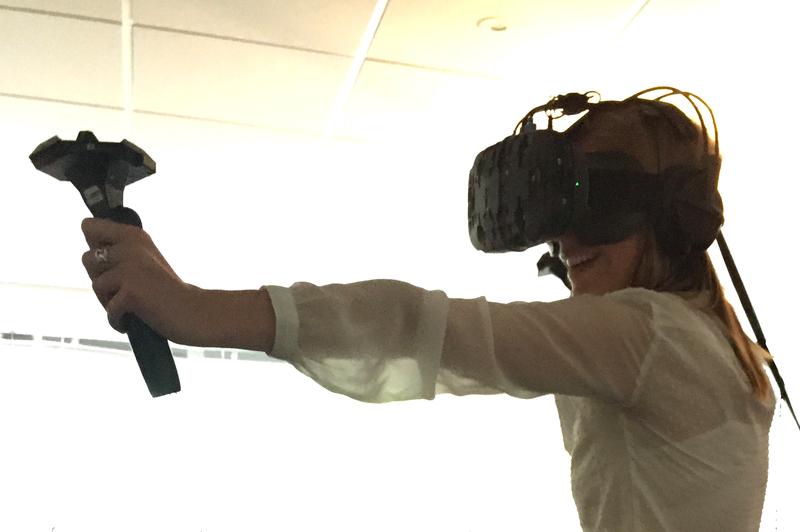 Augmented reality and virtual reality are also interesting to support sales. They allow future users to visualize all the details of a machine that is not physically present or even not built yet, and avoid having to travel to the manufacturer s premises or to another user s production site. These technologies become truly relevant as soon as it is possible, from the full scale mock-up of an equipment in service, to easily propose variants based on the different options available. The customer can thus fully imagine himself using the equipment he is about to purchase. Tomorrow, mixed-reality helmets micht even allow him to have its future equipment tested in his premises, by his own operators !